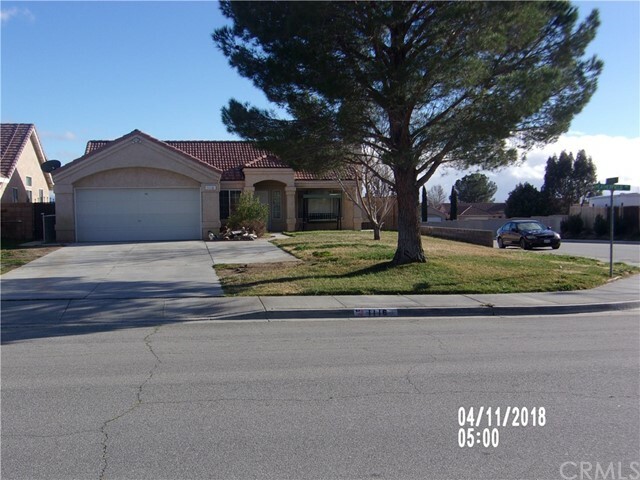 All Rosamond homes currently listed for sale in Rosamond as of 04/20/2019 are shown below. You can change the search criteria at any time by pressing the 'Change Search' button below. 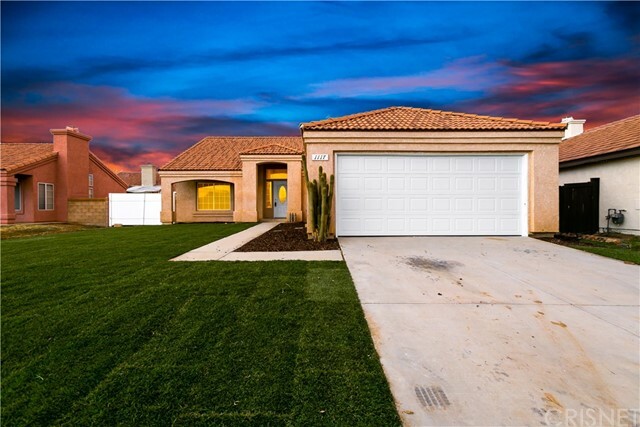 If you have any questions or you would like more information about any Rosamond homes for sale or other Rosamond real estate, please contact us and one of our knowledgeable Rosamond REALTORS® would be pleased to assist you. 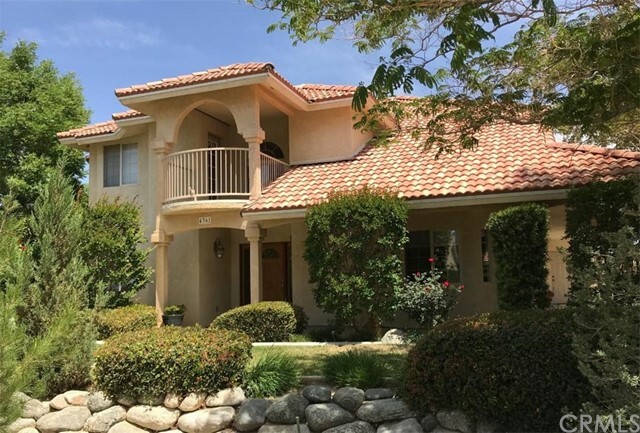 "Spectacular 22.5 acre turnkey ranch, situated just 90 miles northwest of downtown Los Angeles, provides a one of a kind opportunity for a scenic bed and breakfast, a spacious retreat for equestrians, hikers, bird hunters, families or church groups. Skyotee Ranch is also a perfect setting for off-road racing and motocross as it's close to Willow Springs Race Track. This private well-kept property comes complete with an adobe-style home, a hacienda-style 4-stall horse stable and tack room, a 2-bedroom cabin, a catfish pond, its own private island with a BBQ set-up, a 2-story airport hangar with caretaker's quarters and 500' water well. Fully-equipped shop with farm equipment and a webcam security system, the Ranch has room for a solar farm along its walking trails and thriving fruit orchard. 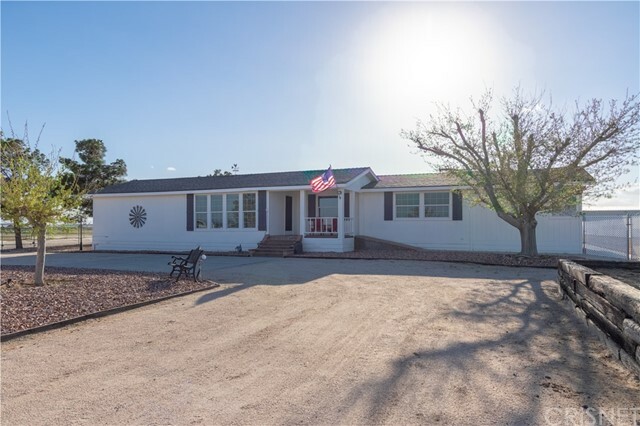 Thirteen miles west of Interstate 14 in Rosamond, CA, this agriculturally-zoned property offers the natural beauty of the high desert without sacrificing comfort and convenience." "The Rosamond Skypark, A beautiful custom Home with airplane hangar. This home features a formal living and dining room. Large kitchen with, walk in pantry, with eating area.The family room is just off the kitchen with fireplace. There is a bedroom and bath downstairs. The entryway staircase goes up to two upstairs bedroom, one with a small balcony overlooking the street and lovely front yard landscaping, having its own bathroom with a tub and shower. The master bedroom has French doors to a large private balcony overlooking the pool. The master bath has dual vanities, shower and spa tub. There is a walk-in closet as well as an additional room off the master bath that could be an office or gym or nursery. the back yard is landscaped with a swimming pol and spa. There is a parking for planes, RV's or a boat in the insulated and heated 40 X 80 ft. hanger, and more parking space on the 85 X 45 ft concrete apron in front. the main hangar door is 40 ft wide and 20 ft high at full opening, and a tall 12 ft wide roll up door to accommodate trailers or RV's. The hangar has a small corner office area with a 3/4 bath. Skypark property owners have a 1/63 ownership share of 3400 ft asphalt runway and connecting taxiway common areas. Rosamond is a small community adjacent to the entrance to Edwards Air Force Base and 12 mile south of the Mojave Air and Space Port. The cities of Lancaster and Palmdale are only a few minutes south, Los Angeles Basin between 1 to 2 hours south." 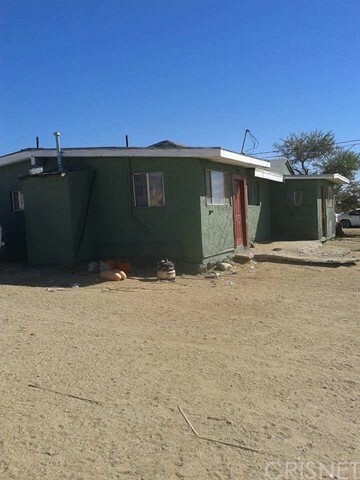 "REDUCED, REDUCED PRICE TO SELL AND Located in the thriving Antelope Valley in Kern County in Rosamond find these 20 Acres fenced land with a 2 bedroom 2 bathroom SFR comes in with electric well, electric generator plant, trees, and two ponds, (sold AS IS). This parcel has great potential for business or to make it your new home. The 20 acres property is surrounded by several solar panel energy companies. Rosamond is about 11 miles North of Lancaster, Skypark Airport, Edwards Air Force Base, and China Lake. Kern County also has an Economic Development Incentive Program and business-friendly policies to companies, so come and check for yourself this awesome place where everyday sunsets are amazing with desert and mountain views." 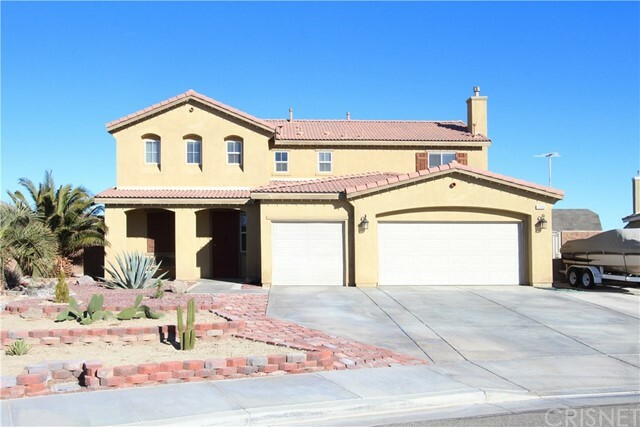 "Custom 5 bedrooms nearly 2.5 acres Horse Property Rosamond Home. The home features 5 bedrooms (Two Master Suites), 3.5 bath, formal living and dining spaces, and 3-car garage with one drive thru door. Top grade travertine flooring in great room & living areas, bamboo/oak flooring in bedroom, tiled bathrooms and laundry rooms. Large central kitchen w/ granite counters, plenty of cabinets, breakfast bar, dual oven, 5-burner stove & dishwasher The four season Sun Room is 60 X 13 feet. Huge windows lets in lots of light, perfect place to hang out in the winter and entertain year round. Outdoor consists of 10 X 16 latticed patio w/gas hook up, great for relaxing and grilling. The property contains a fish house with a 1,000 gallon fish tank w/filtering system to raise tilapias, catfish or fish of your choice. The 50 X 14 greenhouse with 15 raised beds allows you to raise a variety of vegetables, lots of fruit trees (Grapes vines, Cherry, Asian pears, Apple, Plums, and Pomegranate) and there are two large chicken coops. House is extremely energy efficient, built with Insulated Concrete Form (ICF) Blocks. Walls are 12-in thick with an insulated R-30 value." "Welcome to this One Of A Kind Entertainer's Pool Home located in West Rosamond just minutes from the 14 freeway! Enjoy the summer and invite all of your friends and family to hangout by your immaculate pool and spa along with your built in bar, grill, and fire pit. Check out your oversized garage that can fit 3 cars or can be easily used as storage or another workplace. Enjoy the upstairs loft that comes with everything seen in the photos. Already including the pool table, equipment, bar table and stools, and water access ready to add in your wet bar to serve drinks. This home also includes new paint, granite countertops, stainless steel appliances, a fireplace inside the master bedroom, immaculate tiling in the master bathroom, a bonus loft upstairs, and so much more! This home is placed on more half an acre of land building value for your property for the years to come. Hurry and come check it out!" "Incredible Country Home with Custom Kitchen and Dream Shop for Car Enthusiast! This Home Features: 3 bed and 2 Bath, bonus room with office, Custom cabinets throughout house with soft close doors,Kitchen cabinets equipped with roller shelves,Five burner 36'' gas stove top ,SS electric 30'' double oven with roasting probe,SS quiet dishwasher,SS 36'' microwave,Laminate flooring throughout,Neutral carpeting in bedrooms and living room,Closet barn doors,Natural stone shower and bath,Indoor laundry room equipped with gas and electric, LED lighting throughout home, many with dimmers, Concrete septic installed two months ago, Composite roof installed one year ago, Five ton AC/heater unit, Garage attached three car garage, deep bays, with automatic door openers, Shop - 1600 sqft steel beam construction, four bays, roll-up doors, insulated, evap cooling, 40' x135' concrete apron, Barn roomy six stalls and center bay, concrete flooring, lighting & electrical, Fully fenced property with 3 Electric Gates, Jacuzzi, front and back yard zero scape, mature trees, city water, natural gas. This Home truly has it all, come see it today!" "Come Take a Look at This Beauty! 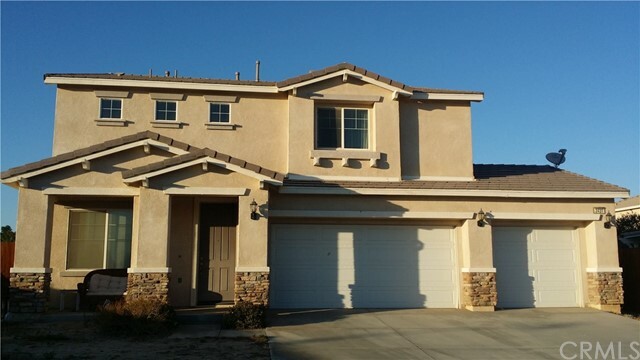 This Gorgeous Two Story Energy Efficient Home Located on a Cul-de-Sac. This Home Features 5 Bedrooms and 3 Full Bathrooms. Spacious Floor Plan, Formal Dining Room and Living Room. Spacious Family Room w/ a Gorgeous Fireplace that Opens to the Kitchen with Walnut Cabinets Including an Island Breakfast Bar, Granite Counters Throughout & Stainless Steel Appliances. Downstairs Features an Oversized Bedroom and Full Bathroom. Upstairs, You Will Find a Large Loft, 3 Spacious Bedrooms Plus a Master Suite. The Spacious Master Suite Offers a Large Walk-In Closet with Separate Garden Tub and Shower, & Dual Sinks. Upstairs Laundry Room, Attached 2 Car Garage, and the Backyard Features a Covered Patio, Luscious Green Grass, RV Access & Much More!" "Great Opportunity. Very Affordable Like New Home. Shows Like A Model With Excellent Interior Design Touches. One Bedroom and Bath Downstairs, Beautiful New High End Kitchen Cabinets & Granite Counter Tops. Maple Wood Stair Case, Fire Place, 3 Car Garage, 2800 SqFt. RV / Boat Parking Recessed Lighting and Ceiling Fans in Every Room. Dual A/C Units. Top Of The Line Security System and Appliances. Huge Master Suite and Master Bath, 2 Walk In Closets With Large Loft, Ideal Floor Plan. Too Many Upgrades & New Items to list All!!! 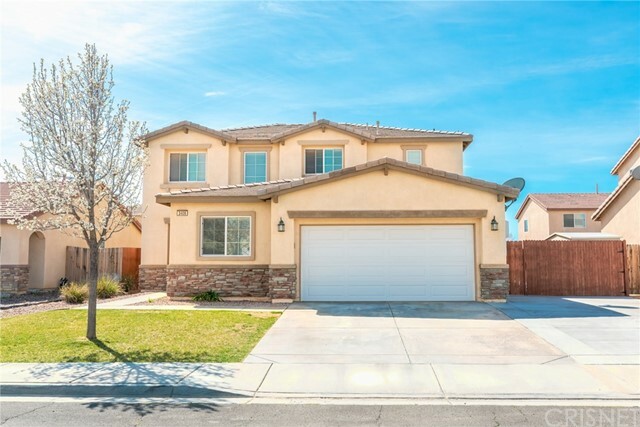 Located on a quite Cul De Sac End Lot, close to schools and freeways, perfect to raise a family. A Must See Home! Don t Miss Your Opportunity"
"True Pride Of Ownership with NO Rear Neighbors! From the moment you pull up you'll appreciate the drought friendly professional landscaping and RV parking. Walk inside and and note the newer custom paint and beautiful tile flooring. Walk into a cozy formal living room that's connected to the dining room off the kitchen. The kitchen has tons of cabinet and counter space, stainless appliances, and is meticulously clean! The kitchen opens up to a large family room, perfect for entertaining! The family room has custom flooring, a fireplace, a ceiling fan and beautiful mountain views! Walk upstairs to a small loft and 4 sizable bedrooms. The master and master bath are very spacious with dual sinks, shower, soaking tub, and walk in closet. There is an additional bathroom upstairs with dual sinks. Upstairs laundry room. The backyard has a huge covered patio with mountain views. This lot has no rear neighbors and is very private. Convenient location in well maintained neighborhood." 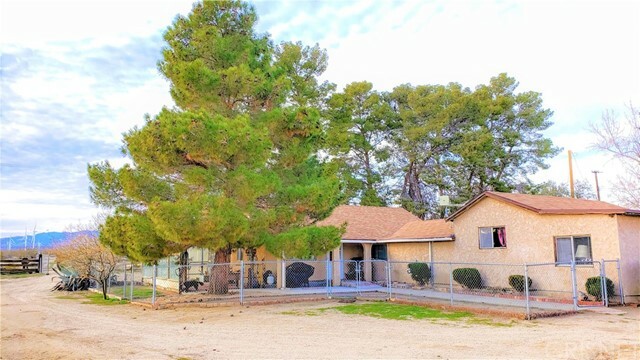 "Newer single story Rosamond home. Home features low maintenance landscaping in front and courtyard entryway. Kitchen open to Great room. Kitchen features granite countertops and large center island with bar area. Good sized bedrooms, covered patio and 3 car tandem garage. Cul-de-sac location." "Must see pool home. 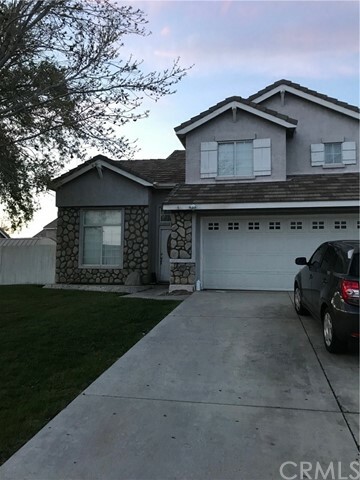 4 bedroom, 2 bath with den/office that could be 5th bedroom. 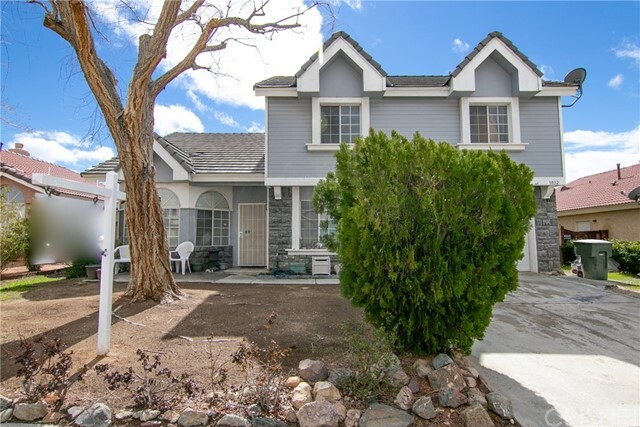 Located in a quiet neighborhood on a cul de sac street in Rosamond. Great location close to schools and shopping. Very private backyard with an in-ground pool to enjoy during the upcoming HOT summer days. Schedule your viewing appointment today." "PAID SOLAR PANELS!! Open Floor Plan! Fixer Upper!! This Home Features 4 Bedrooms and 3 Full Bathrooms on 2.53 Acres. Large Formal Dining Room w/ Double Sided Fireplace. Spacious Family Room that Leads to the Kitchen. The Kitchen Features a Breakfast Bar, and an Abundance of Cabinets for Storage. Atrium that Leads to the Attached 2 Car Garage, an Amazing Front Porch to Enjoy the Beautiful Views of the Valley!" "Honey Stop The Car!! 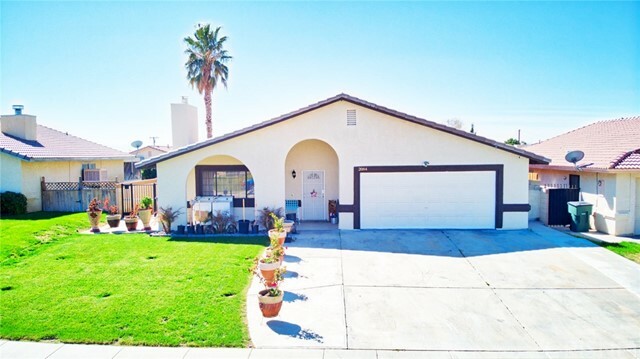 Beautiful Tree lined street, This Three Bedroom / Three Bath home is well optioned with Tile Floors, Upgraded Cabinets, Spacious Floor pan, Patio Cover, Possible RV Parking and Much More to Offer, Come Preview This Home Today, You'll Surely Be Pleasantly Surprised!" "SOLAR PANELS PAID OFF!!! 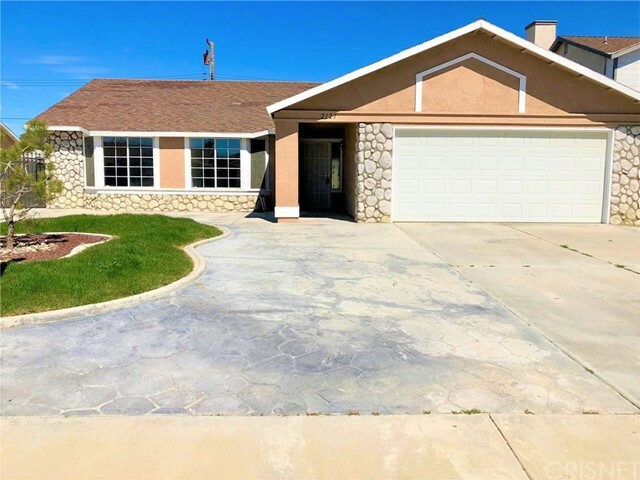 You will love this beautiful 1 story property featuring 3 Bedrooms + 2 Bathrooms, with 1694sqf, located just a few minutes from the 14 freeway, you won't pay high electricity bills thanks to the Owned Solar Panels. Imagine your self cuddling up to a cozy fireplace with a good book. Situated close to the supermarket and restaurants, and in a friendly neighborhood." "BOM........ Buyer unable to perform........Honey stop the car! Take a look at this totally rehabbed single-story POOL home. Subject property features 4 bedrooms and 2 bathrooms with new flooring, new paint, custom kitchen, covered patio and BBQ area perfect for all of your family gatherings." 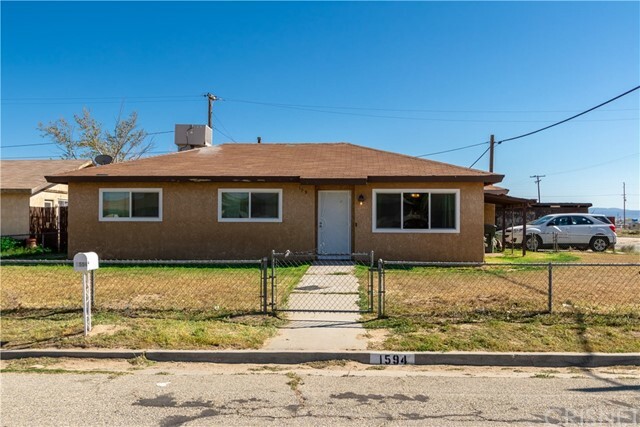 "Welcome to 1117 Hastings Avenue in Rosamond! Come see this move in ready fully rehabbed beauty that is priced just right and you can move right in. This beautiful home has been updated with new interior paint, new exterior paint, new custom tile, and new carpet. Let's start with the kitchen because it looks great with new granite countertops, a ton of cabinet space, breakfast bar, new tiled floors, and new stainless-steel appliances. Don't forget you also have new custom matching tile in the entry, bathrooms, and kitchen. This one has a living room, family room, new fixtures, high ceilings, & much more. 2 Spacious secondary bedrooms, plus extra bonus room which can easily be turned into 4th Bedroom! Large master with a private bathroom, his and her sinks, & a walkin closet. New landscape in the front. Spacious yard in the back with patio and new vinyl side fence with pull through access. Come and write an offer today!" 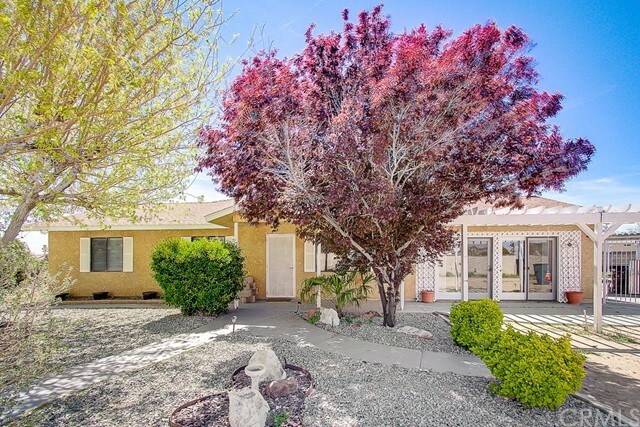 "Don't miss out on this beautifully maintained home on a cul-de-sac in this quite Rosamond neighborhood. This home features a 4th Bedroom/Den, large living room, formal dining room, and covered back patio. 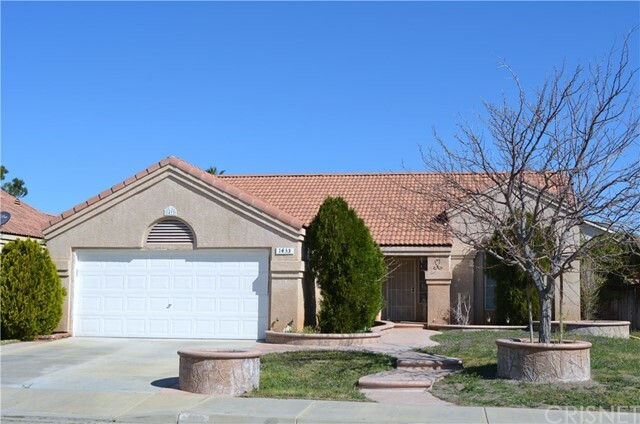 This 1,579 sqft home is looking for a family to call it's own. Sale includes Washer, Dryer, and Refrigerator. Other furniture is negotiable outside of escrow." "Great home in a pleasant community! Small park and walking trail in neighborhood, great for outdoor fun or Family gatherings. Enter into living room with wood burning fireplace, surrounded by brick facing, nice laminate dark wood flooring. Open kitchen to breakfast nook area + sliding glass door to rear yard. Kitchen has stainless steal appliances and grey modern cabinets with corian counter tops. Deep stainless steal sink with upgraded faucet and garbage disposal. Dishwasher has soundless feature with stainless steal lining inside. Nice backyard with wood patio full length of the home + covered slab.Shed &grass landscaping + possible RV access/side yard. Office has double door glass entrance & plush carpet. Master suite has a full shower + separate dress area.Two car garage with opener." 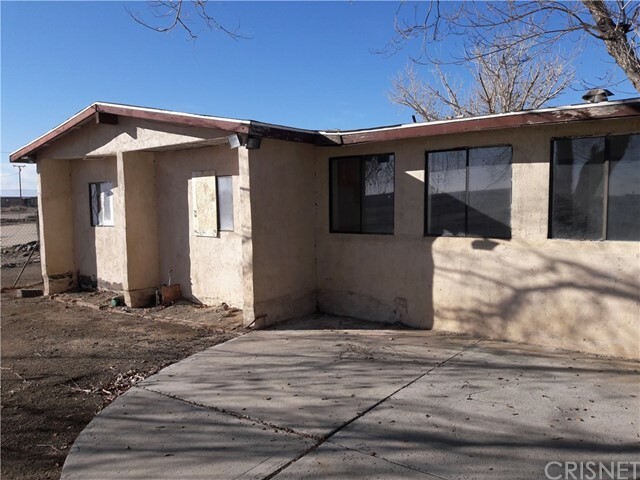 "This cute Rosamond cottage is located freeway close for easy commuting. 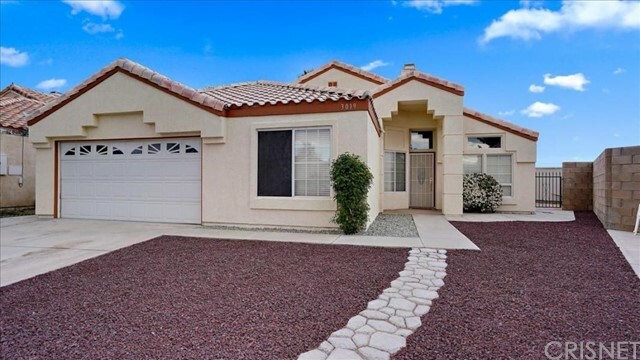 This home features 4 bedrooms and two baths and the backyard is sized for easy maintenance. Perfect for the buyer with some imagination who wants to personalize their own design!" 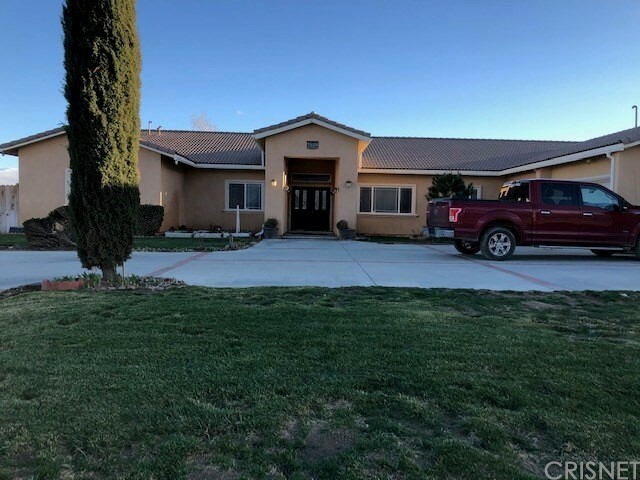 "Great property with Stunning views near the foothills of the Tehachapi mountains. 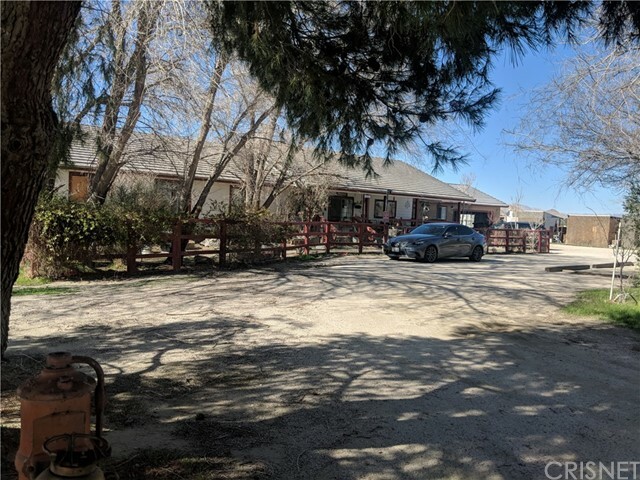 This fully fenced property has endless potential and already has a detached 2 car garage, huge carport/wood room, chicken coop and partial horse facilities to name a few. Near Edwards Air Force Base, Poppy preserve Big Cat Sanctuary, Animal Education Center, Willow Springs Raceway and Tehachapi. The property has an English walnut tree, black olive tree, bird of paradise, Blue Agave, Pines, Mimosa, Various shades trees, and Rosemary bushes. This Property also comes with two water tanks which totals to 8,000 gallons, two septic tanks. An easy 20-minute drive on Rosamond Blvd headed west from the 14 freeway and you're here! Get away from it all and enjoy the quiet, views and see more stars than you can imagine." "Priced to SELL! Attention Investors or Business Owners: This is a great opportunity to own 1.71 Commercially zoned acres with 200' of Sierra Hwy frontage! The sale includes 3 parcels, (258-150-07),(258-150-08)&(258-150-09). Currently a 4+1 sits on the back lot, and is need of a complete rehab. The property has electric, well, and is on septic. Possible uses include Gas Station, Restaurant, Motel, Apartments, mobile home park, Auto Repair, etc. Cash only due to the condition of the house." "Adorable 3 Bedroom Home on a Large Corner Lot with an attached 2 car garage And Tons of potential for Extra Wide RV Access. The front is completely fenced. There's a Spacious Living Room and an eating area next to the kitchen. The kitchen is roomy and has lots of cabinet space for all your needs. This Home is not only Adorable, It's Affordable and Will Not Last Long."